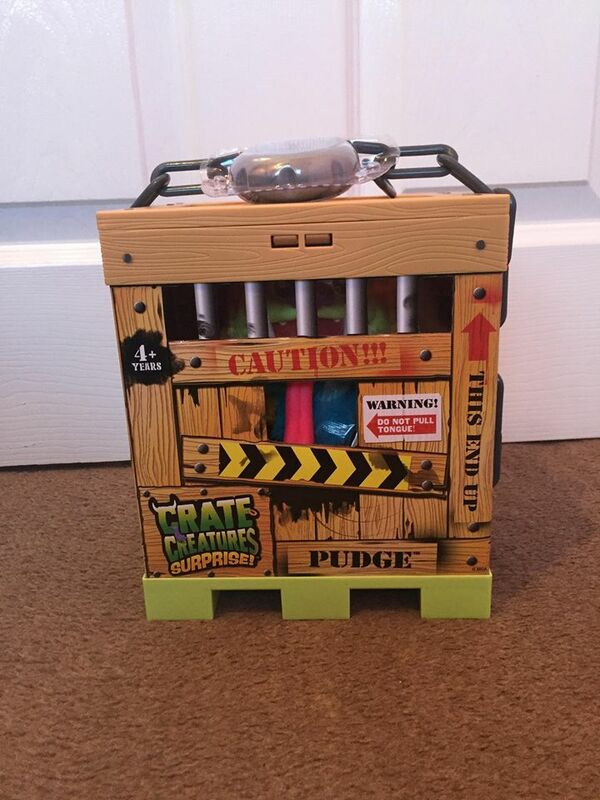 Last week we were sent Pudge, a crate creature, to review. 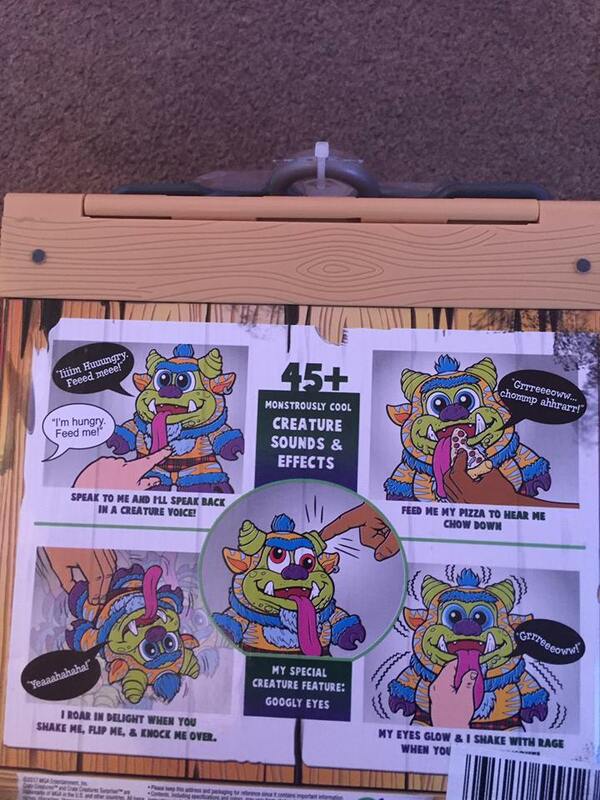 Now if you haven’t already heard about the new crate creatures then let me enlighten you a little, they are rather disgusting creatures that have been locked in crates and your child needs to break them free using the crow bar and then, presumably, give the rotter a home. I am sure you can agree this sounds like the type of toy that will be a huge hit with the kids, especially boys, and one that will have most parents rolling their eyes and questioning why they ever bought it! As soon as I showed Pudge to the tiddler his eyes lit up and he couldn’t wait to open the box. When he realised he had to actually use a crow bar and break him out he was ridiculously excited and I must agree this extra feature is fab and does make the fun start from the minute you get it. Once he had broken Pudge out even I had to admit that he did look disgustingly cute and for a child that loves soft toys this still works as a teddy as it is soft enough to cuddle as long as you don’t squeeze to tight. Pudge comes with a slice of Pizza and a ridiculously long tongue and it didn’t take long to figure out that if you feed him the pizza he will responsed with various grunts and chomping sounds and if you pull his tongue he makes a whole host of random noises, including trumps which of course had both the boys in fits of giggles! Not only does Pudge respond to being fed and having his tongue pulled but you can also tip, tumble and shake him for a response, press down on is horns and squeeze his belly, and with over 45 responses available this doesn’t get old quick unlike some similar toys. As well as the noise responses watch out for the movements and glowing red eyes that really make Pudge seem like he should be locked back in cage. After we had been playing with Pudge for a while we realised that if you squeeze his belly and speak it will record your message and repeat it back to you, which added a whole new level of fun for the boys as they took it in turns to create the craziest things for Pudge to say. 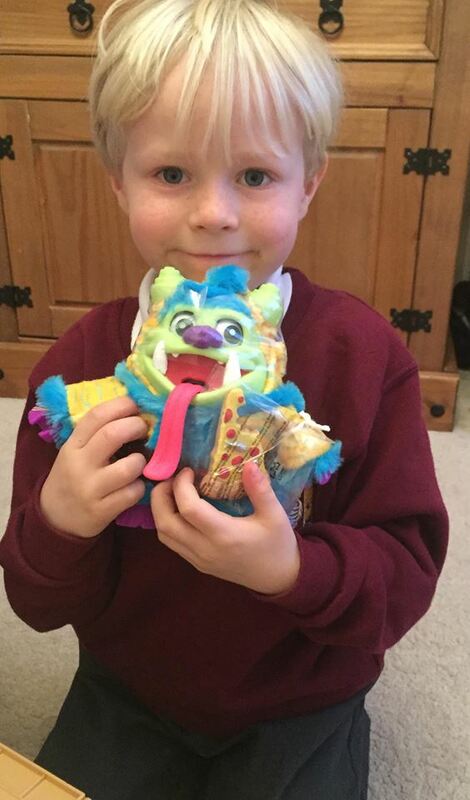 Over all this toy was a huge hit with both boys although I would say it is the tiddler who is 6 that has gone back to play with him every day and is still loving him as much now as he did when he first arrived, so for me I would recommend Pudge for ages 4-7 if you want to get your moneys worth. There are 4 crate creatures to choose from Pudge, Snorthog, Sizzle and Blizz and they are currently available from Smyths for £31.99. (We were sent Pudge in exchange for an honest review). What unusual features! Sounds like a toy that will be popular. I bet crowbaring him out was hilarious.